I have been trying to read, and understand, literature about autism disorders since my son was diagnosed with an autism disorder almost 16 years ago. (Many would undoubtedly suggest I have far to go in development of that understanding). 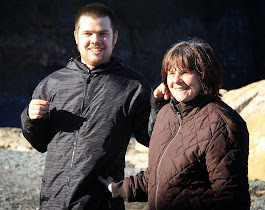 In the last few years I have begun to try and read and learn more about epilepsy and seizures, largely because of my son's apparent seizure activity confirmed by two classic grand mal seizures in the past 15 months. An article on recent Companion of the Order of Australia recipients, recognizing accomplishments in their fields of a number of Australians included the recognition of Melbourne-based Professor Samuel Berkovic who, with a team of scientists, "discovered the first of the epilepsy genes back in 1995. Since then, they have found a number of other genes linked to epilepsy." In reading this article I was struck by the expression "genes LINKED to epilepsy" an expression often used to describe the results of autism disorders research results: "genes LINKED to autism" rather than discovery of genes known to CAUSE autism. I sometimes suspected that autism researchers, who overwhelmingly conduct genetic based autism research, with very little serious research of possible environmental factors that might be involved with causing or triggering autism disorders, were simply moving the goalposts after failing to find direct causes or triggers of autism disorders. I have never doubted that genetics play an important role in causing autism. My concern was with the apparent exclusion of the obviously more difficult to conduct environmental based research. "Epileptic seizures are frequently reported (4–32%) in autism. These values are higher than in the normal population of children and adolescents (0.5%). In the literature there is no uniform description of epilepsy in autism. We examined 106 patients with autistic disorder divided into three groups on the basis of presence or absence of EEG paroxysmal abnormalities (PA) and/or epilepsy including febrile convulsions (FC). Our patients presented an autistic syndrome unrelated to clear congenital or acquired encephalopathy. The prevalence of epilepsy and EEG PA was 23.6% and 18.9%, respectively. Significant differences between the three groups appeared for (i) familial antecedents for epilepsy/FC and neurologic and psychiatric diseases (P < 0.004), (ii) a different proportion between the three groups for mental retardation (P < 0.03), (iii) and EEG fast activity (P < 0.04). Our patients showed several types of epilepsy, including idiopathic forms with seizure onset after the age of 10 in 45% of cases. Seizures were mainly partial, not frequent and controllable by anti-epileptic drugs. PA were mostly focal and multifocal and in 45% of cases were typical of benign childhood partial epilepsy with centro-temporal spikes. The higher incidence of epilepsy and EEG PA is apparently not related to organic pre-, peri- and postnatal antecedents or cerebral lesions. On the contrary, genetic factors responsible for autism and epilepsy seem important in the genesis of these two disorders." As a humble father of a son with an autism disorder, intellectual disability and seizure activities I am curious as to whether the genes that to date have been "linked to autism disorders" have been compared with those "linked to epilepsy"? I am not by any means pretending to have any competentcy in analyzing such information myself and I have no agenda in asking the question other than the curiosity of a father whose son suffers from autism and epilepsy symptoms. If the same genes are "linked" to both disorders does that not help in understanding the origins and causes, perhaps the nature, of both epilepsy and autism disorders? If there are genes linked to both autism and epilepsy are they also linked to intellectual disability? If anyone who happens on this blog can provide answers or information responsive to these questions it would be appreciated. 2013 was a challenging year for Conor and Dad health wise. I spent a week in acute care with some respiratory issues and Conor spent 2 weeks in hospital, including a six day stay in the ICU recovering from a life threatening adverse reaction to his seizure medication. Overall though life was good in 2013, including life in Conor's "back yard", Fredericton's North Riverfront Trail. We are just a couple minutes walk from the trail and the St. John River and we enjoyed the trail as often we could. 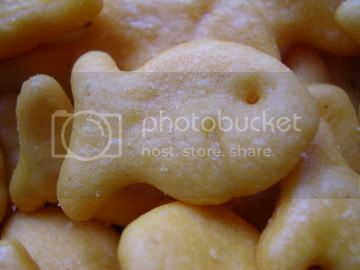 Neurodiversity cult members, including some autism professionals, academics and neuroscience students like to scream at parents and other family members who speak honestly about the dangers and deficits endured by children and adults who actually suffer from autism disorders. Television, movies, and the mass media generally, love to provide a Big Bang picture of autism as persons with unique personalities and special gifts and extraordinary intelligence. There is little appetite for, and as a result, less public awareness of, honest, reality based discussions of the harm and dangers posed by severe autism disorders. Lack of public understanding of the dangers posed by autism disorders may or may not have been a factor contributing to the departure, and now confirmed death of New York autistic youth Avonte but it certainly didn't help. The Neurodiversity cult members who constantly fight to hide the dangerous realities posed by autism disorders may not be responsible in this specific case for what has occurred but they have not helped with their constant misinformation campaign, their constant suppression of the truth about autism disorders, the harm they can cause and the dangers they can pose to many with autism disorders. 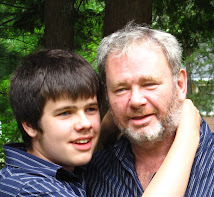 As a father I was at fault several years ago, when my severely autistic son was younger, of not keeping a close enough watch on him when I took a business call on a Saturday afternoon. For my son, and for me, it ended well when a good Fredericton man stopped his vehicle to remove my son from the busy traffic that he was facing crossing a local street, unaware of his danger, and took him to a convenience store where he called the police at 911. I was able on the conclusion of my business call to find and recover him quickly once I too called 911. Sadly, Avonte the autistic New York youth has now been confirmed to be dead 3 months after he simply left his school after walking past security. I am NOT suggesting that greater awareness of the very real dangers posed by autism would, or would not, have helped in Avonte's case. In my son's case our school has been made clear, and the school has agreed, that our son requires, for his own safety, 24 hour adult supervision which he also receives at home. Greater public awareness of the very real dangers posed by autism disorders must be undertaken now in order to reduce the likelihood of future deaths of autistic persons who wander from homes and schools. It is long past time to be honest about the harm and dangers posed by autism disorders. My son and others with severe autism disorders depend on all of us being honest about the realities and dangers they face. CALGARY, Jan. 15, 2014 /CNW/ - A report published today by The School of Public Policy identifies staggering costs associated with autism and advocates increased support for families dealing with this challenge. "An autism diagnosis of a high-needs child at age two represents the equivalent of telling the family that they must make an immediate lump-sum investment on that day of $1.6 million, invested at a five-per-cent return, to pay for the lifetime costs of care and support their loved one will require," write Herb Emery and Carolyn Dudley, the report's authors. These numbers form only a part of the authors' analysis, which charts lifetime support-care needs and costs for three hypothetical individuals living with varying degrees of autism spectrum disorder (ASD). 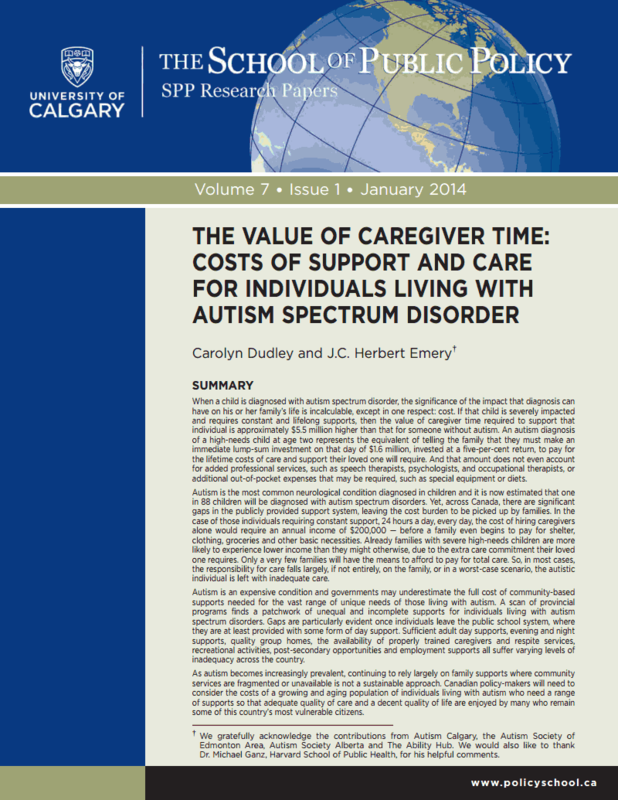 The annual value of caregiver time for a "high-needs" case is $158,359. For a moderate-needs case it is $82,769 per year and for a lower-needs case it is $30,711 per year. The authors argue that regardless of the case, costs are often underestimated by society and government, and families are left shouldering most of the burden. "A scan of provincial programs finds a patchwork of unequal and incomplete supports for individuals living with autism spectrum disorders. Gaps are particularly evident once individuals leave the public school system, where they are at least provided with some form of day support. Sufficient adult day supports, evening and night supports, quality group homes, the availability of properly trained caregivers and respite services, recreational activities, post-secondary opportunities and employment supports all suffer varying levels of inadequacy across the country," the authors write. Emery and Dudley identify several approaches to relieve pressure on families. Increasing the current annual caregiver tax credit of $300 is one option. Government can also show its support by providing funding to help boost the supply of caregivers and care centres. Introducing autonomy insurance, which has already been proposed in Quebec, is another government initiative that could assist adults with disabilities. Removing the IQ screen for eligibility of services at age 18, which exists in some provinces, is another measure endorsed by the authors. This would help individuals living with ASD who have higher IQ but lack functional skills of independence. Offering these individuals support could assist them in gaining employment, which would eat into the overall costs associated with their disorder. I am not going to offer too much comment on the article by Lynn Waterhouse and Christopher Gillberg itself which, as the title indicates, argues that autism must be taken apart, at least for research purposes. I have not yet purchased or read the article. The abstract speaks very clearly and even I, as an ignorant, hysterical, misguided parent of a son WITH severe autism disorder, intellectual disability and epileptic seizures can understand. 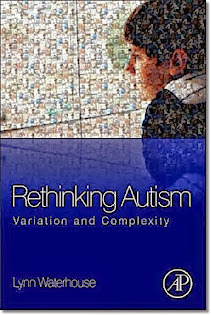 Waterhouse and Gillberg address themselves to the important needs of studying individual variation and finding specific treatments which are difficult to achieve in the artificially combined "autism spectrum disorder". The authors' views are important in and of themselves as autism experts. They are also important because parents concerns on such subjects as the characterization, the artificial, non evidence based, unification of autism disorder(s) are automatically dismissed. The lumping of Aspergers in with autistic disorder under the pervasive developmental category of the DSM-IV created a whole new generation of extremely high functioning, adult diagnosed"autistics" and "free ranging Aspies" who declared that THEY speak for all persons with autism. Michelle Dawson even appeared as an "autistic" before the Supreme Court of Canada in the Auton Case to oppose government funded early ABA intervention for autistic children ... other people's autistic children. My son can not speak for himself. As his father I speak for him and I know him best in doing so. As a parent I reject absolutely the right, or the knowledge base, of Michelle Dawon, JE Robison, Ari Ne'eman or anyone else to speak on behalf of my son. To those parents who think that the insights of some high functioning autism celebrities can offer assistance to their children I hope that, in their cases, they are right and I wish them well. Personally I hope that the autism research community follows the direction offered by Waterhouse, Gillberg, Insel who wrote about autisms and the lack of validity of the DSM generally, and Giacomo Vivanti who has commented on the need for researchers to look beyond the "pure autism" model of autism research. Autism heterogeneity ... it is obvious to those who live in the real world of autism disorders ... it should be obvious and should be embraced by the autism research community. Although accumulated evidence has demonstrated that autism is found with many varied brain dysfunctions, researchers have tried to find a single brain dysfunction that would provide neurobiological validity for autism. However, unitary models of autism brain dysfunction have not adequately addressed conflicting evidence, and efforts to find a single unifying brain dysfunction have led the field away from research to explore individual variation and micro-subgroups. Autism must be taken apart in order to find neurobiological treatment targets. Three research changes are needed. The belief that there is a single defining autism spectrum disorder brain dysfunction must be relinquished. The noise caused by the thorny brain-symptom inference problem must be reduced. Researchers must explore individual variation in brain measures within autism. Following this comment is a re-posting of a comment I posted on this site 7 years ago in 2007 about the abysmal state of autism youth and adult residential care and treatment in New Brunswick, Canada. 7 years later and nothing has changed. Well, one thing has changed, a very important part of my life has changed. 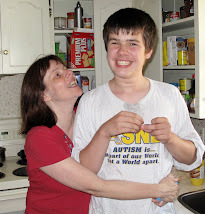 My son with severe autism and intellectual disability is now 7 years older.... and his Mom and Dad are also 7 years older. Time marches on. Our autistic children are becoming autistic adults. Our political and government leaders have sat on the sidelines fiddling and twiddling and doing absolutely nothing to help. They just don't give a damn. 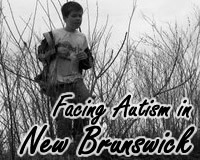 In October 2005 the Toronto Star reported on the case of a New Brunswick autistic youth who was being housed by the Province of New Brunswick on the gounds of a youth correctional facility. The youth had committed no crime. 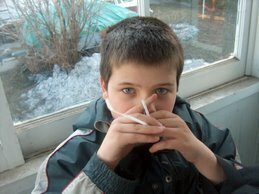 The state of New Brunswick's youth and adult residential care and treatment facilities was so bad, virtually non-existent for those with more severe and challenging autism disorder, that the province felt it was the only place that could accommodate the youth while they waited for his admission to a facility in the United States. The Toronto Star article follows this comment. Unfortunately, as the letter from Stephen Robbins posted here a couple of days ago indicates things have not improved any since then. In New Brunswick we must still export our autistic youths and adults out of the country for decent residential care and treatment. From a personal perspective this issue weighs heavily on my mind. My son Conor was 9 at the time of the first story. He is now 11 and nearing the age of the two youths in these stories. In the meantime youth and adult residential care and treatment in New Brunswick have not moved a single steop forward. The bureaucracy does what the bureaucracy always does. It delays, it denies that problems exist, it worries about the careers of its members and whether they might be embarassed but it takes no significant action on critical issues affecting some of New Brunswick's vulnerable members. HALIFAX—A 13-year-old autistic boy now living in a New Brunswick jail compound will be sent out of Canada because there is no home, hospital or institution that can handle him in his own province. Provincial officials confirmed yesterday the boy is living in a visitor's apartment at the Miramichi Youth Centre and will be moved to a treatment centre in Maine by November. They stressed he is not under lock and key, has no contact with other inmates and is living outside the high wire fence that surrounds the youth detention centre. 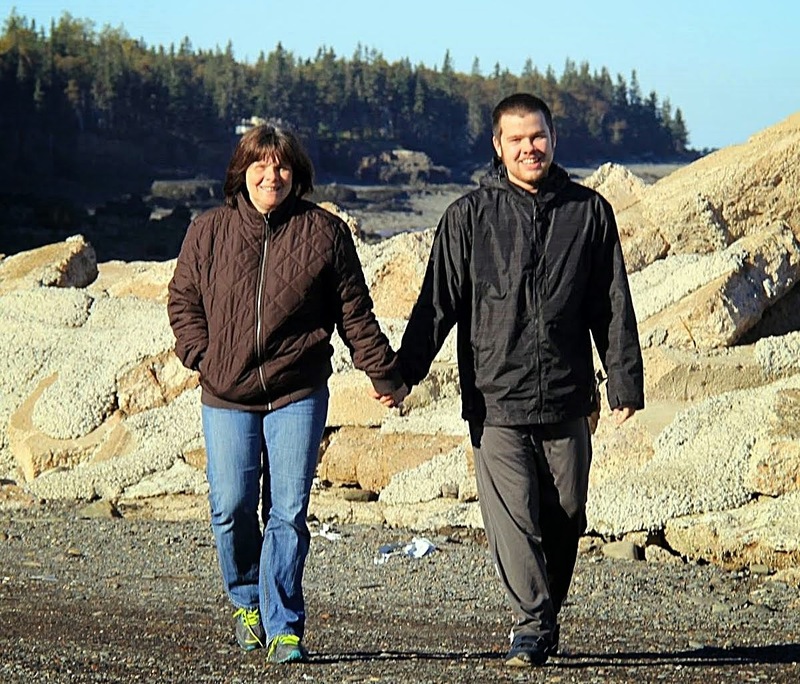 Nevertheless, the jailhouse placement and the transfer to Maine have outraged mental health advocates and opposition critics. "They put this boy in a criminal facility because he is autistic," said Harold Doherty, a board member of the Autism Society of New Brunswick. "Now we are exporting our children because we can't care for them. This is Canada, not a Third World country. ``We are supposed to have a decent standard of care for the sick and the vulnerable, but we don't." Liberal MLA John Foran echoed his concern. "This boy has done nothing wrong, is not the subject of any court order, but is in a penal institution." Provincial officials yesterday insisted critics are misrepresenting the nature of the boy's situation and that in fact the province has done everything it can to help him. "This individual is not being held, and is not incarcerated," said Lori-Jean Johnson, spokeswoman for the family and community services department. "He has housekeeping, bath and a separate entrance. 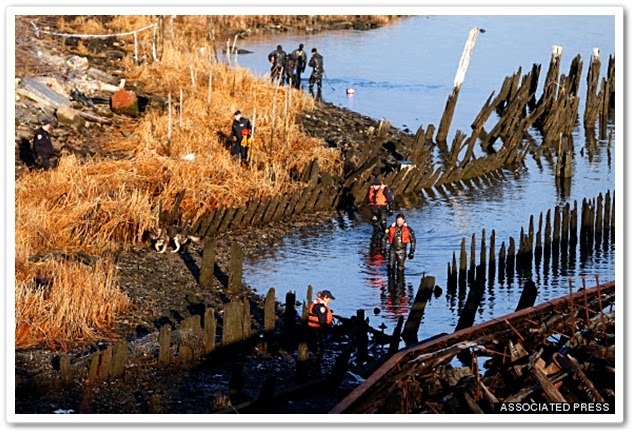 We are just utilizing existing resources." Privacy laws prevent officials from discussing anything that would reveal the boy's identity, including details of his previous living situation and the whereabouts of his parents. This much is known: He suffers from a severe form of autism and is a ward of the state, under the guardianship of the minister of family and community services. 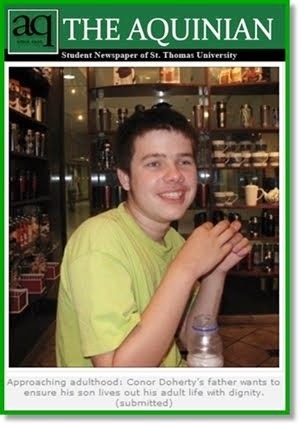 He was living in a group home until recently, but became so violent that he was judged a danger to himself and others. At a psychologist's recommendation, he was moved to a three-bedroom apartment on the grounds of the Miramichi Youth Centre, a prison for about 50 young offenders. Two attendants from a private company watch the boy around the clock, at a cost to taxpayers of $700 a day. Johnson said she does not know any details of his care. Doherty said the jailhouse placement and move to Maine highlight the desperate need for better services for autistic children in New Brunswick and across Canada. He said staff at most group homes in New Brunswick aren't trained to deal with autism and don't understand the disorder. "If you don't understand autism, things can become very bad very quickly," said Doherty, who has a 9-year-old son with the disorder. "We have been pushing for (better facilities) in New Brunswick for several years. This is not a crisis that has popped up in the last two days. Residential care is a critical element for these people and it is not being provided." Johnson said the provincial system of group homes and institutions that care for children and adults with psychiatric disorders and mental disabilities works for most people. "We do have existing resources, but once in a while, there will be an exception. Here, we are looking at a very extreme case." 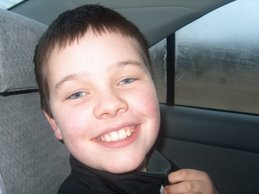 The boy will be moved to an Augusta, Me., treatment centre at the end of the month, said Johnson. The centre, run by a non-profit group called Spurwink, specializes in dealing with autistic adolescents. A Spurwink representative did not return a phone call from the Toronto Star. Provincial officials could not detail the cost to keep the child at Spurwink, nor did they have information about why he's being sent to Maine, rather than a Canadian facility in another province. " This is a letter to Premier Shawn Graham. 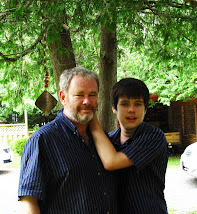 I am a father of a 13-year-old autistic boy. We had to fight for services for our son from the day he was born: to get diagnosed, to get Applied Behavioural Analysis therapy (before it was mandatory), to get teacher's aides in the classroom, to keep him in school, and to get hospital treatment when his compulsion to bite and pinch got to the point where he was covered in wounds and bruises. I am afraid my wife and I do not have much fight left in us these days. Our son has lived under constant supervision 24 hours a day for the last year. Two workers stay in our home with him during the day (two are needed to restrain him during his rages). While we commend them for all they have done, the workers are merely a Band-Aid solution. Our only option at this point is to send our son out of country to the U.S. for treatment that he desperately needs. Services at the two facilities, in Maine or Boston, will cost the government $200,000 to $300,000 a year. 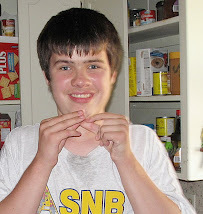 Right now my son is costing the government $15,000 to $20,000 a month because of the government's lack of direction when it comes to older autistic children. My question to you, Mr. Graham, is that it may have been cost effective at one time to send these children away (out of sight, out of mind). But now with it being 1 in 150 children being diagnosed within the autism spectrum disorder, maybe we should re-evaluate the direction our province is going in. I realize that there may be no other recourse for my son but to be sent to these facilities in the U.S. for treatment. I hope in the future we may be able to prevent our children from having to leave Canada to get the services they so desperately need. I usually do not comment but on this one I will. It is extremely upsetting situation and something needs to be done. You say, "It (bureaucracy) delays, it denies that problems exist, it worries about the careers of its members...." So very true. Let me add that certain senior members of this bureaucracy, in certain field, routinely lie, deceive and mislead to get their way. Public welfare is least of their concern. We pay extremely heavily for such bureaucrats both in monetary terms and extraordinary damage they cause to public and society. Such tragedy continues with the change of government. The new governments and political bosses; because they are new; are prevailed over and such bureaucrats manage to pull wool over their eyes and nothing changes. That is the failing of our democratic system. I hope and pray that additional innocent young lives and their parents are not subjected to such excruciating pain and suffering which has been and is being inflicted currently on some. I'm surprised that these children are sent to the States, as I wasn't aware that things were much better over here! At the same time, in the first case you sited, it seems particularly ironic that an autistic child is placed in the equivalent of 'isolation' - no contact with the inmates/ people etc. It seems the very worst of possibilities. Children with autism struggle to remember details of events from their own lives, reports a study published 27 November in Development and Psychopathology. .... The researchers looked at 63 children with autism who have intelligence quotients of 70 or higher, and 63 controls, all aged 8 to 16." The SFARI article/opinion piece makes no mention of the large numbers of persons with autism SPECTRUM disorder who also have an intellectual disability. It did not caution members of the public that the study results may apply only to the higher functioning 50% of persons with autism disorder. 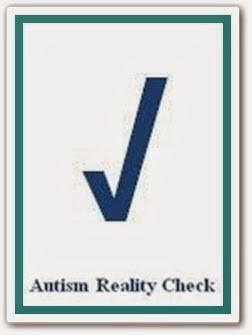 It is repeating the misrepresentation of high functioning autism only research as "autism" research as it did just just over a week ago in the article Autism brains are overly connected, studies find. Autism research has continued to exclude persons with severe to profound intellectual disabilities, a practice questioned by Giacomo Vivanti and his colleagues in a recent article. It is now also widely recognized, at least outside of SFARI organization circles, that "autism" is very heterogeneous in nature. Intellectual disability is one of the most numerically significant and important elements in the heterogeneous autism spectrum. Maybe someone could send a memo to the SFARI commentators. New Brunswick adults with autism are still in desperate need of a modern, made in NB residential care system which will provide group homes with staff professionally trained by the excellent UNB-CEL Autism program and a facility based in Fredericton which could also be developed in collaboration with UNB Psychology, UNB-CEL Autism and the Autism Team at the Stan Cassidy Centre. 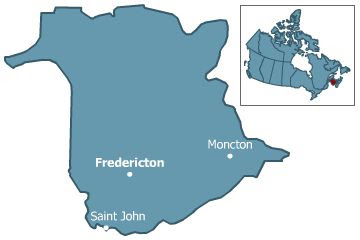 A Fredericton based adult autism residential care and treatment facility could provide both temporary and permanent residential care for those who require it along with medical are by professionals with specific knowledge of conditions which commonly occur in connection with autism disorders. An example of one commonly co-occurring conditions is Epilepsy or Epileptic seizures. 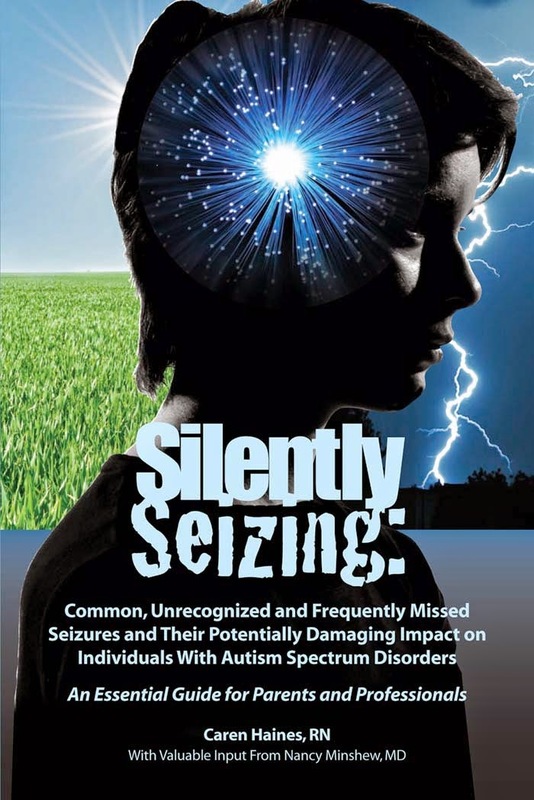 Such seizures, at their most severe, can result in sudden deaths, an occurrence which has now become known as SUDEP, or Sudden Unexpected Death in Epilepsy. Such events can occur during the night while family members sleep as occurred this year in NB. It is a threat which hangs over my son who during the past year suffered two grand mal seizures and a life threatening adverse reaction to his seizure medication. 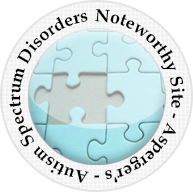 Such seizures occur more frequently with persons with autism disorders, particularly those persons who are intellectually disabled, than they do in the general population. As with many parents with autistic children in NB I began my public advocacy by advocating for evidence based early intervention for autistic pre-schoolers. Our efforts were informed by the professionalism and expertise of UNB Psychology Professor Emeritus and Clinical Psychologist Paul McDonnell and UNB Psychologist Barb D'Entremont. We advocated for early intervention, from which our own children did not benefit, and for autism specific aides and teachers in our school system. New Brunswick has won international recognition for these initiatives. As parents we have also advocated for an adult autism care network consisting of a central facility and group homes with UNB-CEL trained staff which, as I understand, the current government has begun to explore with a pilot project at one of the group homes. Assuming the pilot project results in autism staff training at all group homes around the province providing residential care to autistic adults there still remains an overwhelming, urgent and long unaddressed need for a central facility in Fredericton close to all the Fredericton based autism expertise that has been developed in this province that could provide temporary AND long term, permanent residency and care for those, like my son with severe autism, intellectual disability and related conditions. The need for a permanent care facility has been known for many years. The anti-institutional mindset that has frozen any effort to address the issue does a great disservice to those who actually need permanent intensive care for their complex autism, intellectual disability, seizure and related conditions. The evidence of the need for such a facility is hidden in plain sight in the Restigouche Psychiatric Hospital in Campbellton where some autistic adults have lived out their lives. It has for periods of time been hidden in plain sight at the grounds of the Miramichi Youth Correction facility, in hotel rooms, and general hospital wards. The evidence of the need for a facility for permanent care and treatment of those with severe autism, intellectual disability, seizures and related medical conditions has been out and out hidden by the export out of province of some of our autistic New Brunswickers including to a facility in Maine. 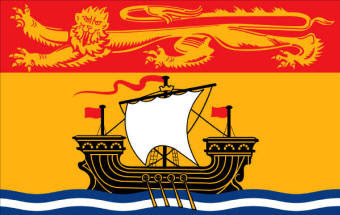 New Brunswick is more than the wonderful natural resources on which our economy has been based. It has also been the location of remarkable human and intellectual responses to the needs of our people under successive governments. The NB response to autism challenges in the early years has won national and international acclaim. The UNB-CEL autism program and expertise in particular has won recognition and has been sought in Saskatchewan. New Brunswick has a track record of success in early autism intervention and education. 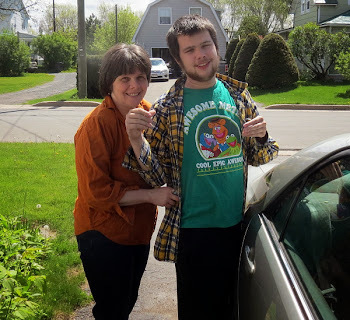 In this election year 2014 it is my wish as a parent and long time autism advocate in New Brunswick that we seriously begin the development of the adult autism residential care and treatment system that is so badly needed. I wish that all party leaders and members, all government decision makes now, and after the election, will take action on behalf of adults with autism and related conditions.